Madrid is a bustling city beckoning you to visit! The city pops up around you, proudly revealing it places, which fully preserve the flavor of very distant times. History has left a deep seated footprint here over time. 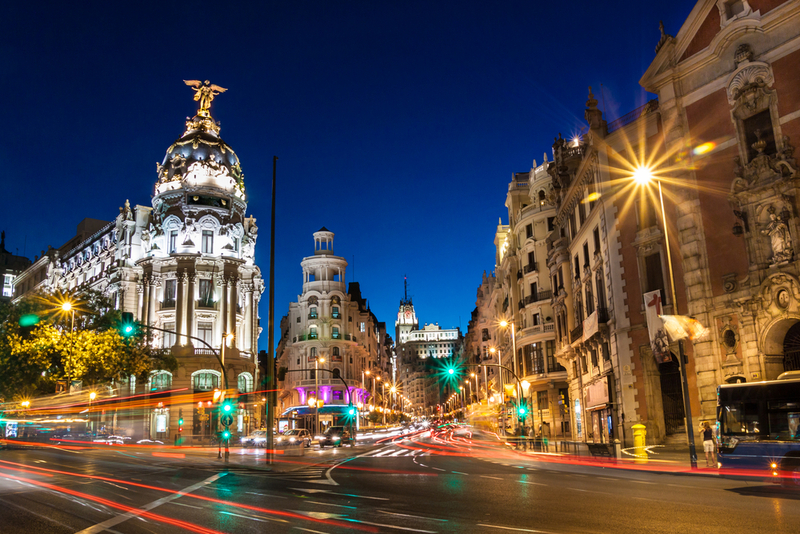 From its founding by the Arabs in the 9th century until present, life in Madrid is magical! Let us take you for a luxury private tour of Madrid and its surroundings! Take a guided tour to the historical quarter of the city, discovering the quiet little corners, plazas, shops, art and architecture. 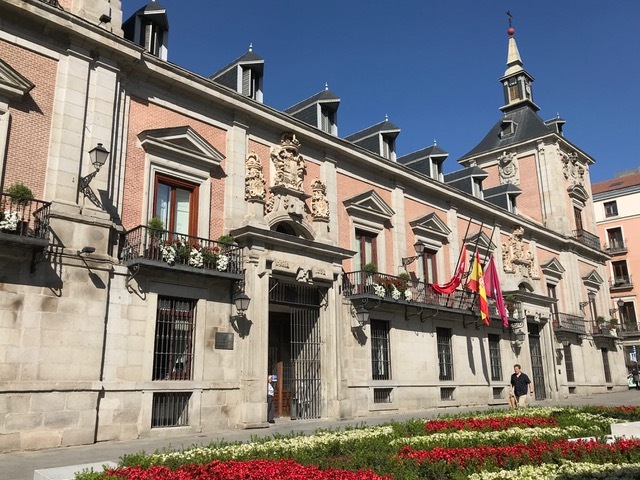 Visit the Royal Palace, commissioned by one of Spain’s first Bourbon rulers in the early 1700s, which sits across from the Cathedral of Almudena. You will also discover the thrilling gastronomy of Madrid, its markets and restaurants. Stop in those special places where we will try the tapas. The Mercado San Miguel, near the Plaza Mayor, is the city’s old market and is now an exciting place to join the local Madrileno to sample cheese, fish, pastry, Iberian ham and wine. This is one of the best ways to discover the real flavor of the city! 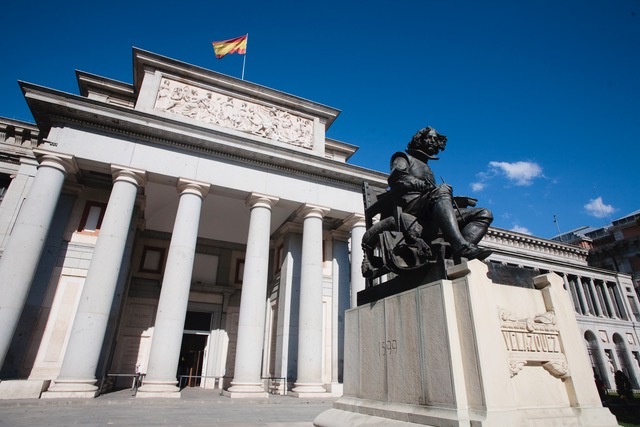 A visit to Madrid is not complete without a visit to one of her many famous art museums! Your private guide will take you for a stroll along the Paseo del Prado, which is the home to Madrid’s three most important art museums- the Prado, the Reina Sofia and the Thyssen-Bonemisza. Which one should you choose? If it is your first visit, the Prado may be your choice. It has an unmatched collection of Spanish paintings and is one of the most visited museums in the world. El Greco, Goya and Velazquez are waiting to whisper their secrets to you as your admire their works! Our professional art guide will be with you to introduce you to these and many more museums in Madrid. Did someone say shopping? 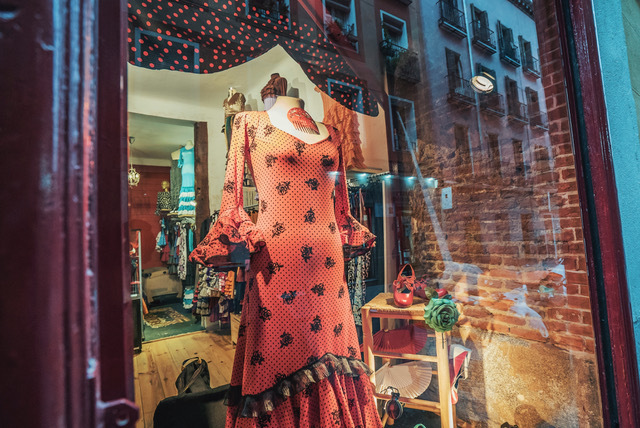 Madrid is the place to be for fashionistas as well as those who are looking for art, antiques, jewelry, furniture and crafts. Interested in a tailor-made fashion tour of the city? We can do it! You can explore the stores of the chic luxury designers in Salamanca or let us introduce you to exclusive boutique shops that not even your best-dressed friend knows about. Unique shopping experiences await you! Of course, the city is crowded with restaurants, from Michelin-starred marvels to lively cafes to traditional tapas bars. Any day of shopping in Madrid definitely requires a rest and a special meal. We will make reservations and recommendations for you. Majestic Toledo, perched on a rocky cliff, is a perfect day trip from Madrid. 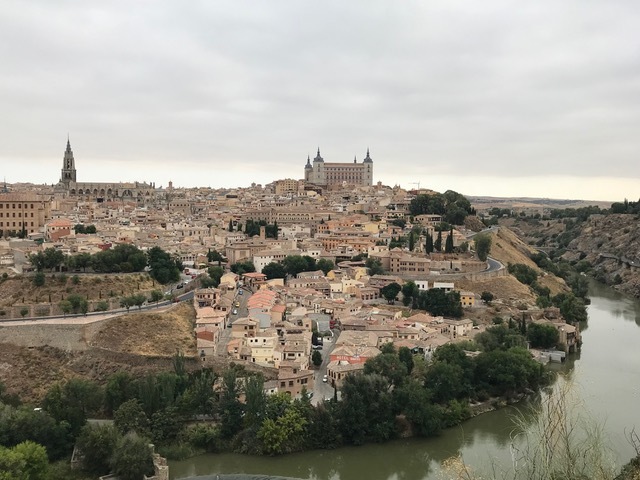 This morning your driver and guide will pick you up to visit Toledo, Spain! After the fall of the Roman Empire in the west, Toledo became the capital of the Visigoth realm. Later, when the city joined Al-Andalus, it grew in importance, so much so that it became the cultural center of the western Mediterranean. Muslim tolerance was such that peaceful coexistence thrived with the large Sephardic Jewish community as well as the Christians, creating a model that is still considered exemplary today. Today this unusual culture makes it possible to truly visit the splendor of the Middle Ages in a city of three cultures! Your guide will be with you to share the history and culture of the city. Today you can visit the Cathedral, the Alcazar, Santa Maria la Blanca and the San Juan de los Reyes Monastery (among so many other places). Marvel at the impressive cathedral, one of the most beautiful and impressive in all of Spain. Relax with a glass or two of wine and a leisurely lunch at one of Toledo’s many excellent restaurants. Madrid’s enviable location allows you to visit so many historic cities, including Segovia. Between the green mountains and the brown Castilian plains, the Roman aqueduct soars above Segovia, welcoming you. The streets of the city, where Isabella I of Castile was crowned queen, and which was named a World Heritage Site by UNESCO, twist and turn, leading you to explore. Visit the Roman aqueduct, built under the Flavian Dynasty in the 1 st century, and a well-preserved landmark. Saint Mary’s Cathedral, built at the end of the 16th century, is another site to see. Last but not least, the Alcazar, a fortress with crenelated towers overlooking the Castilian fields of the city, is the jewel of Segovia. There is shopping in Segovia too and the Plaza Mayor is full of life, with people eating, drinking and talking. We suggest that you continue on with a visit to the Andalusia region after your time in Madrid and it’s surroundings! 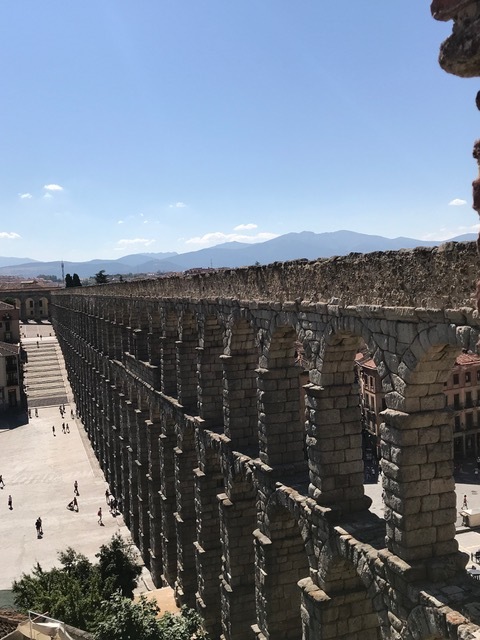 Join SVP Tours on your next adventure in Madrid Spain! We would suggest aminimum of three nights in Madrid during your visit. Contact us at SVP Tours and let us help you plan your dream vacation. Luxury private tours tailored to your unique interests are our specialty.